This week, mix+shine teammate Hannah Seda gets personal with a letter to Shark Week. 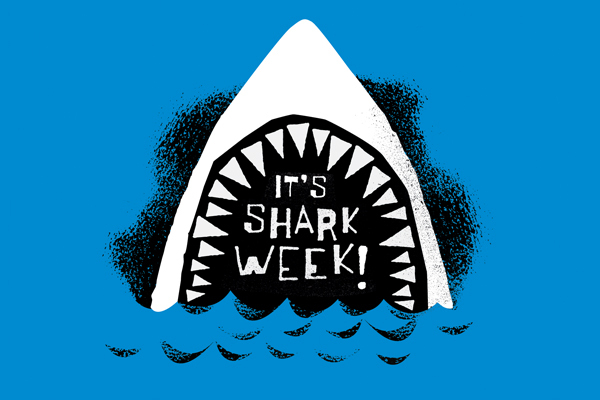 Learn from Shark Week, and don’t give up your most loyal brand enthusiasts! Give them calls to action, shareables for social media, outlets to share with you, and don’t forget the principles that drew them to you in the first place. It’s a two-way street, and Hannah’s post is a great reminder of how brands and audiences can fall in love – and drift apart. I cheated on you with SharkFest. The worst part is, I didn’t hate it. I liked it. God, I liked it so much, I don’t even feel guilty about it! SharkFest was there for me when all you wanted to give me was old programming in an 8 p.m. time slot. What is that? 8 p.m. used to be our time together, baby. We’d cuddle up on the couch, and you’d show me all the amazing things you can do to with science, teeth and the latest in HD underwater cameras. Don’t blame SharkFest. This isn’t NatGeo’s fault. The last few years, you’ve wanted me to wait till 9 o’clock for new programming, and sometimes 9 o’clock rolls around and you don’t even have new programming, just more reruns. What was I supposed to do? You weren’t there when I needed you. Look, it’s not just the old programming in primetime slots that’s been pushing me away. The truth is, for the last few years, I’ve felt like we’ve been drifting apart. If I’m being honest, it started when you began showing me those low-budget mockumentaries, and then trying to pass them off as science. You know the ones I’m talking about: Megalodon: The Monster Shark Lives and Voodoo Sharks. There were others too (so many others). What did you think would happen? You’re not on The History Channel! I know, I know. The economy is bad. Funding isn’t what it used to be. You wanted to try new things. I get it. But, baby, I fell in love with you because you respected my intelligence. You used to satisfy my curiosity by giving me the latest in shark research and underwater cinematography. Now you insult my intelligence with shows like Shark After Dark. I have nothing against the late night crowd of hip party goers and bros–they’re a valuable market–but while trying to please your new friends, I feel like you forgot about me. Forgot about us. Shark Week, maybe it’s not you–maybe it’s me? I understand that you’re trying to make things work in this new digital world, trying new things. I want to try new things too, but this isn’t going to work if we can’t communicate with one another. I had a few ideas of how we might try to communicate better. First, I need shareables. Ready to go, already square-shaped images announcing Shark Week that I can easily find and post to my Instagram and other social accounts. Don’t you like it when I brag about our love, baby? Here are some ideas I found on the internet. They’re simple and to the point and aesthetically pleasing to look at. 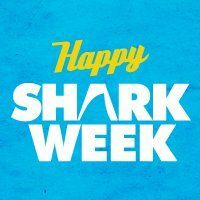 Second, why did you get rid of the “Happy Shark Week” slogan? I know it was probably just a one time campaign kinda thing, and maybe that’s why you were too close to see it for what it really was: A thing of genius. Pure gold. Third, every year you mention ocean and shark conservation, but it always seems to be a footnote in the programming. Don’t get me wrong, all that stuff you did with John Kerry this year was really nice, but it just seemed to take a back seat to everything else. Baby, healthy oceans is a big deal, and you have an audience ready and waiting to be wowed by you. Why not hit them hard with some serious facts and calls to action? I know, I know, budgets right? And the existing programming you need to air and all that. But I’ve noticed that your commercial breaks tend to have a lot about ocean/shark conservation information. 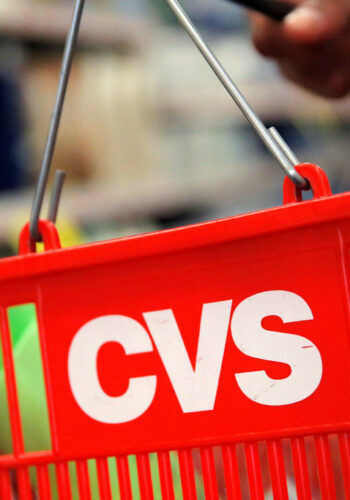 Some of that information is from your sponsors, but what if some of it was from your fans? Hear me out. Remember that wildly successful “Doritos Crash the Super Bowl” campaign? The one where a bunch of amateur filmmakers and directors made free commercials for Frito-Lay? Why can’t you do something like that? Yours can focus on shark conservation facts and original underwater shark footage. Don’t even try to tell me there are no underwater camera people and directors looking to show off their skills and polish up their resumes. So what if you don’t have the budget to offer them a cash prize for the first few years? They will enter for the chance to have their work air on TV. You could have fans vote online, and have the three finalist on Shark After Dark when you announce the winner. 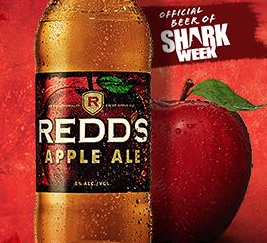 Fourth, I’m not trying to be picky because I know how these things work, but I’m having a hard time reconciling Redd’s Apple Ale and Shark Week. I mean, what is it? It’s made with apples, but it’s not a cider? Does it taste like apples? Apple flavored beer doesn’t exactly scream summer or beach or sharks to me. Could they at least try to make some shark themed commercials for you? Or refine their Shark Week product packaging? Fifth, you know what SharkFest did that really got me? This kind of irreverent humor, a “SharkFest” rant. SharkFest ‘Rant’ from Andy Baker on Vimeo. It’s good, baby. It really is. SharkFest uses it in its commercials, and it speaks to me. 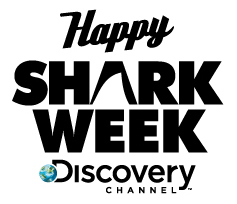 I know it only reaches the people who are watching the NatGeo channel, but if I–one of the loudest Shark Week advocates out there–changed the channel and saw it, I can’t be the only one. Are you gonna let SharkFest talk to you like that? I know they’re in a unique position to be able to use this kind of humor against you, but you need to address this. I don’t know if you’ve turned on the TV lately, but this kind of humor is popular. SharkFest is using it to steer the conversation and positioning you to look like LiveJournal in a world that uses Tumblr. This is only going to get worse as SharkFest gains popularity. Shark Week, I want you for a lifetime. But I understand if you don’t want to be with me after my indiscretions with SharkFest. I’m willing to work on us, if you are? I wish we could go back to the years when Mike Rowe and Mythbuster’s Adam Savage and Jamie Hyneman hosted. Do you remember? We were so happy, so fresh. You used to give me butterflies. Every time. I want you to wow me with science the way you did back then. Satisfy my curiosity and teach me why sharks are so amazing and so incredibly vital to our oceans. I want you to make me care again! And I promise I won’t cheat on you ever again, baby.